AXS TV, the premier destination for music festivals and everything rock and roll, expands its music based programming lineup with the launch of Reel To Real—an all-new series premiering a different critically acclaimed documentary on the last Tuesday of each month. 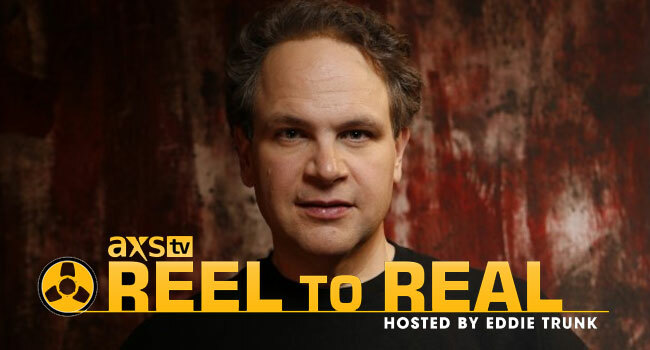 Reel To Real is hosted by popular TV and radio personality Eddie Trunk (“That Metal Show”), who will be on hand to introduce every premiere, providing insights and facts about the production, the artists, the inspirations and the impact of each doc. The series kicks off on May 31st at 9 pm ET, with GRAMMY-winning punk rockers Green Day in Heart Like A Hand Grenade which chronicles the making of the 2015 Rock and Roll Hall of Fame inductee Green Day’s George W. Bush-era protest album American Idiot. The album went on to win a GRAMMY and was turned into a Broadway Musical of the same name. Other premieres include iconic guitarist Dave Navarro in Mourning Son (June 28th); This Ain’t No Mouse Music! (July 12th); Ain’t In It For My Health: A Film About Levon Helm (July 26th); Who Is Harry Nilsson (And Why Is Everyone Talkin’ About Him)? (August 30th); Jason Becker: Not Dead Yet (September 27th); Radio Unnameable (October 25th); Music From The Big House (November 29th); and Genius Within: The Inner Life Of Glenn Gould (December 27th).